If you have a photograph of a community event, please email to info@filamvoicemaui.com. Please include a short description, your name and contact information. 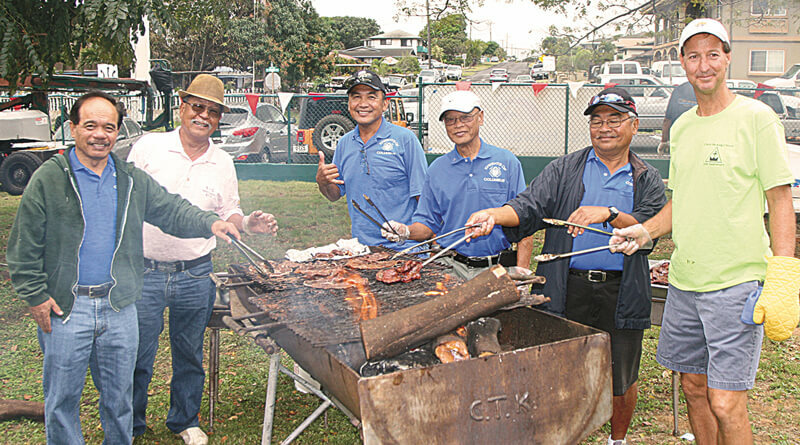 Members of the Knights of Columbus (from left Benjamin Acob, Jimmy Paet, Henry Parilla, Rudy Balinbin, William Piano, and Joe Gage) barbecued the steak at the recent Christ the King bazaar. Dance International Foundation hosted an Escrima exhibition and workshop. 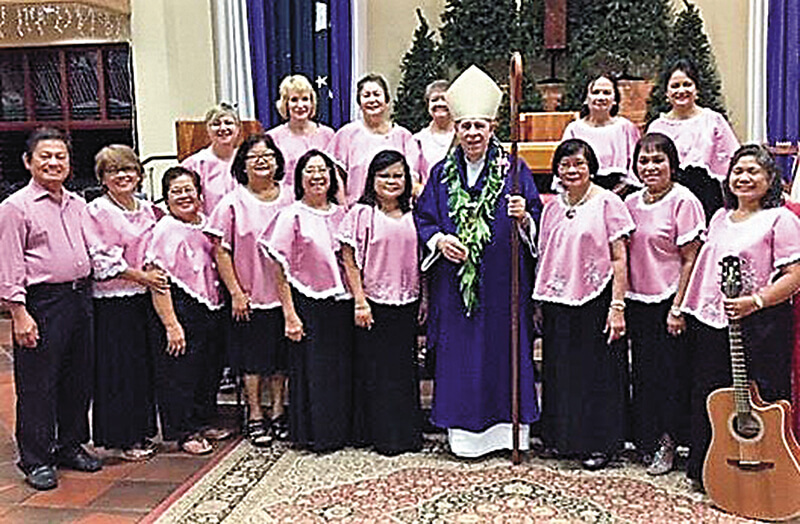 After the Misa de Gallo at St. Theresa in Kīhei, Bishop Larry Silva poses with the St. Theresa Filipino Catholic Club Choir under the direction of Choir Directors Joy Fontanilla and Marsha Pascua, Pianist-Anne Durham. 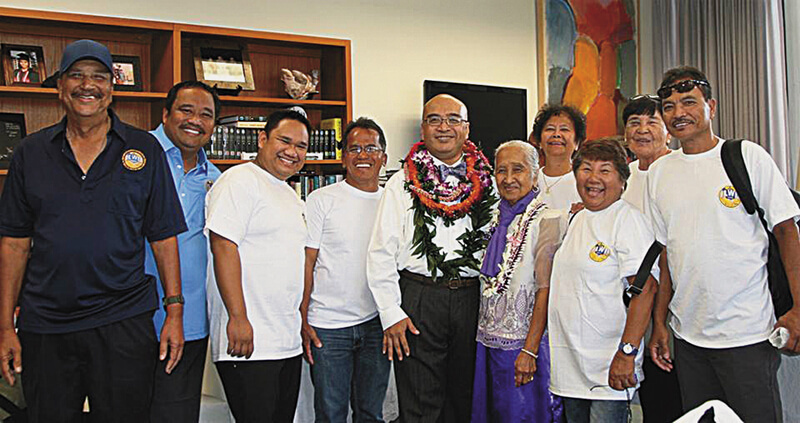 Mayor Alan Arakawa (center) and flanked by the Miss Hawai‘i Filipina and the Miss Maui Filipina installed the officers and directors of the Maui Filipino Community Council, including President Elmer Tolentino (far right) at the Rizal Day Program. The Sto. 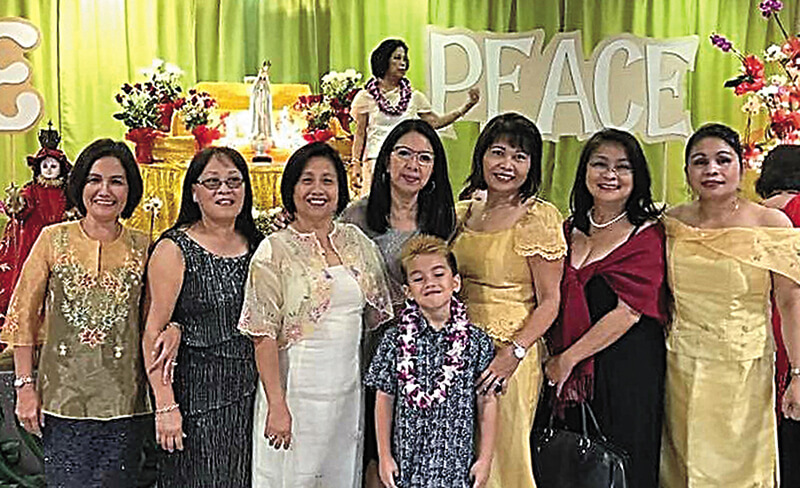 Niño Club of Maui recently hosted the annual Santo Niño Festival. 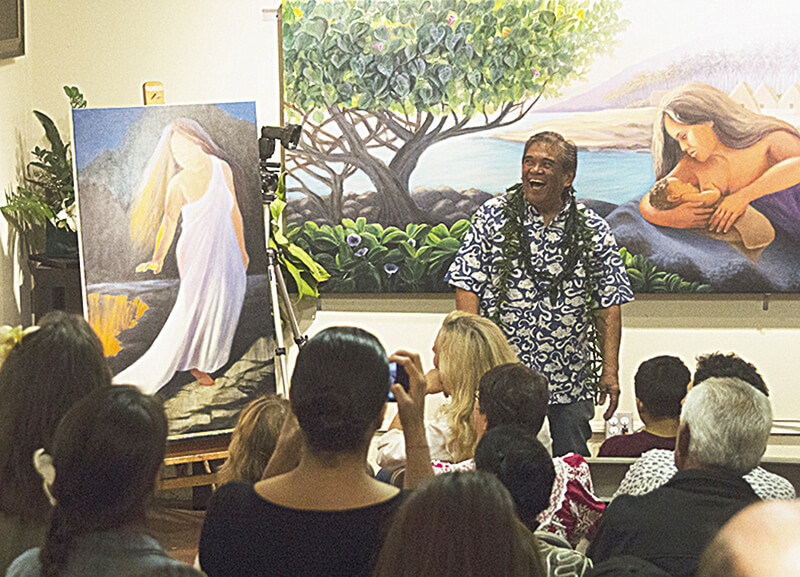 Maui celebrated with artist Philip Sabado during the unveiling of “Maka Hiapo,” his art pieces that were commissioned by Kaiser Permanente that are now being displayed at the Neo-natal section of Kaiser Hospital in Moanalua, O‘ahu. 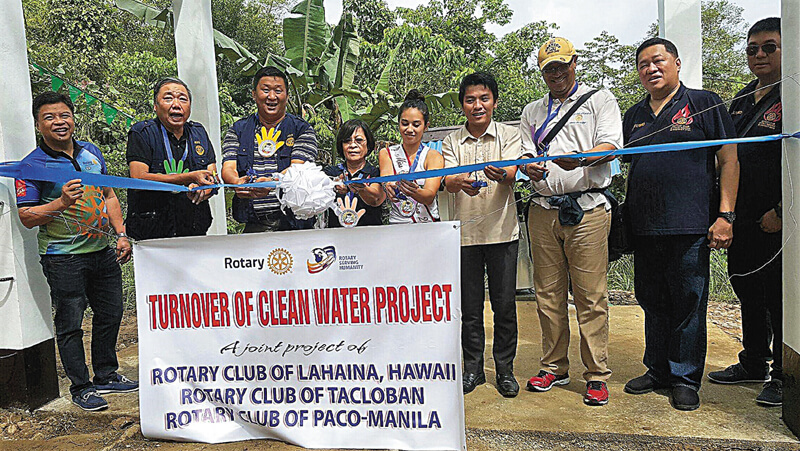 Miss Hawai‘i Filipina 2016 Amelia Laborte assists with the ribbon cutting during ceremonies of the Turnover of the Clean Water Project, a joint project of the Rotary Club of Lahaina together with Rotary Clubs in the Philippines. During the Opening Day festivities at the Hawai‘i State Legislature, members of the ILWU paid courtesy visits to various legislators, including Central Maui State Senator Gilbert S.C. Keith-Agaran.